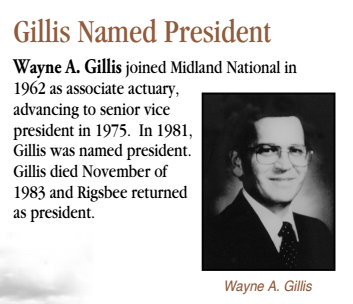 In 1962, Wayne A. Gillis joined Midland National as associate actuary, advancing to senior vice president in 1975. 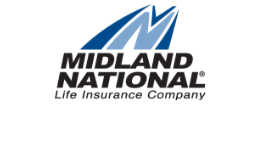 In 1981, Gillis was named president of Midland National. Gillis died in November of 1983 and William Rigsbee returned as president.